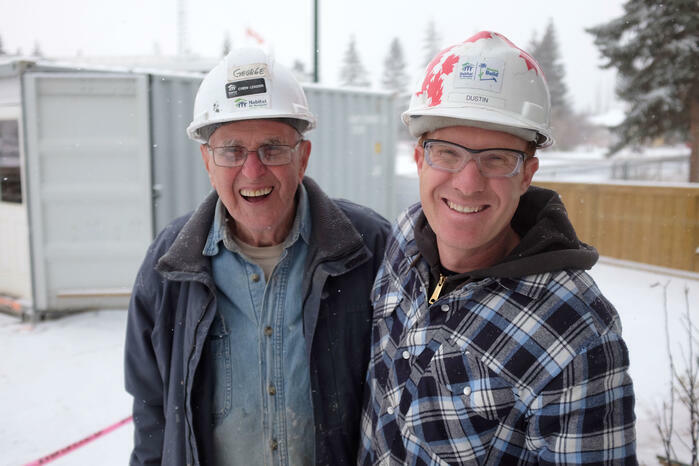 One volunteer in particular, George Proctor has been actively volunteering with Habitat for 26 years. George began his journey with Habitat in 1992 when a member of his church signed him up for his first volunteer shift. That same year, Habitat was given the opportunity to repurpose wooden shelving from a local distillery as a way to raise funds. George, who is passionate about repurposing, remembers dismantling and salvaging the wooden shelving units during his first shift with Habitat. Two years ago, George was hospitalized for 10 days because of a flu that progressed into pneumonia. He was given a 30% chance of walking out of the hospital by the doctors. 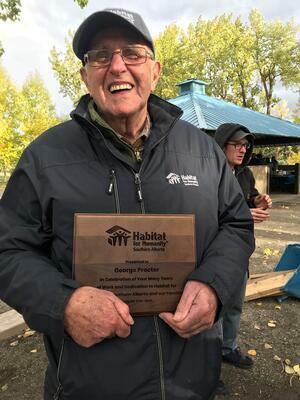 George contributes his survival and longevity to his continued work with Habitat for keeping him active and fit over the years. 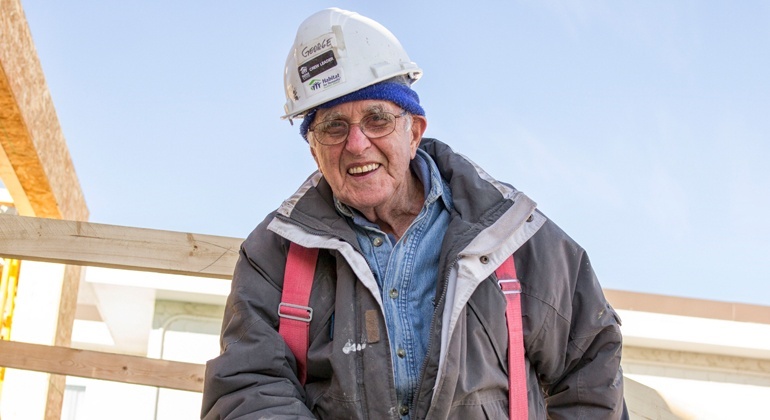 George is now 90 years old, a Crew Leader, has helped build 214 Habitat homes, donated over 25,000 volunteer hours, and his generosity doesn’t stop there. During his spare time George repurposes construction waste to create unique gifts for the future Habitat homeowners.